A mysterious drawing found in the archives of Swiss watchmaker Edox has rekindled a decades-old mystery. The sketch of a long-lost timepiece, the SkyDiver, had a scrawled note reading: “1973. Special production in strictly limited edition.” But nothing more. 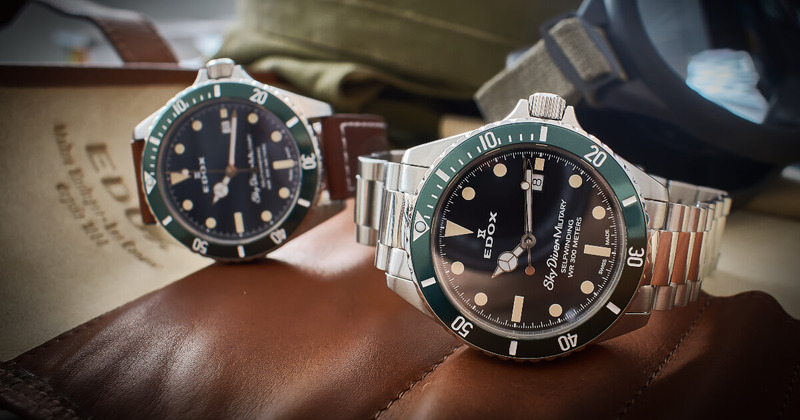 A long-retired Edox watchmaker shed light on the story. The SkyDiver, he said, was rumoured to be a secret project for a mysterious, wealthy Swiss colonel. The anonymous colonel wanted an exclusive timepiece for elite mountain paratroopers under his command. 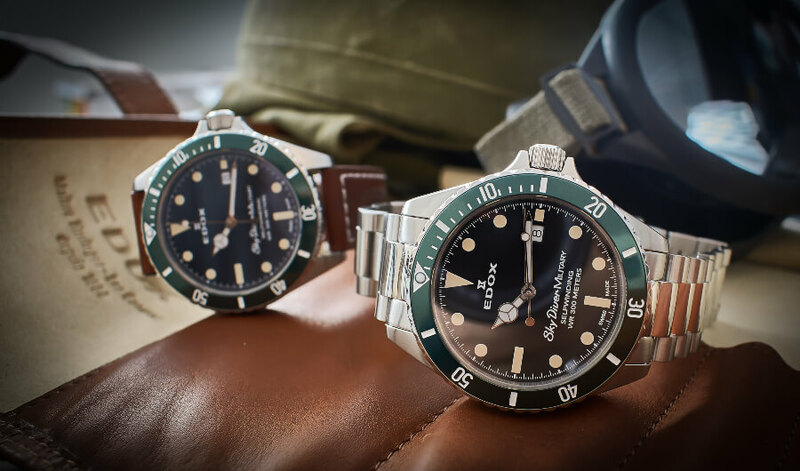 The watch had to be dependable and rugged – just like his troops. 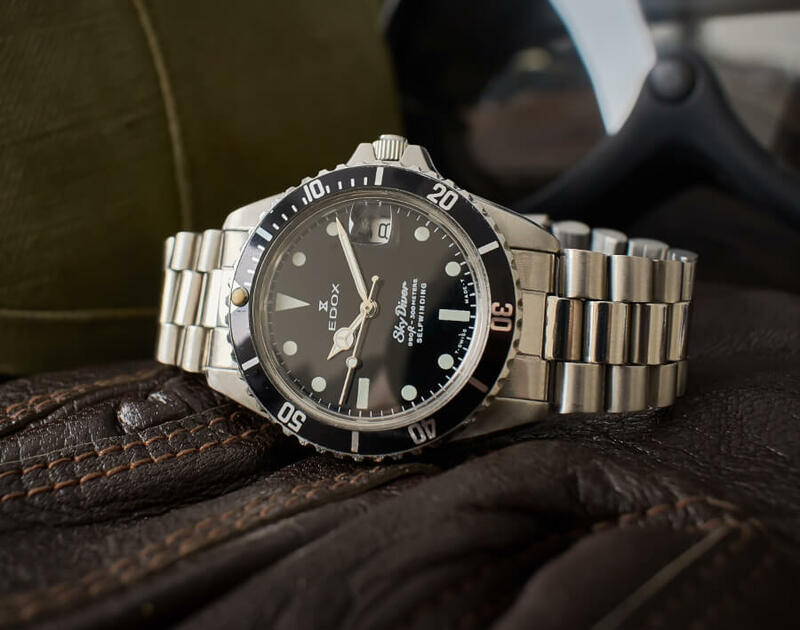 He chose Edox because of the brand’s exceptional water-resistant watches, able to handle any situation the paratroopers might face - on land, air or sea. The colonel insisted on total secrecy. Now Edox is releasing a new SkyDiver, in homage to its 135-year history and for aficionados of fine military timepieces. Powered by an automatic three-hand Swiss movement calibre 80, the 300m water-resistant SkyDiver features a divers' bezel and a parachute motif-engraved case back. The 2mm-thick sapphire crystal and the Superluminova X1 on hands and indexes will guarantee scratch resistance and readability in the most extreme conditions. Like its mysterious 1970s predecessor, the 2019 SkyDiver is a strictly limited edition to 555 pieces. 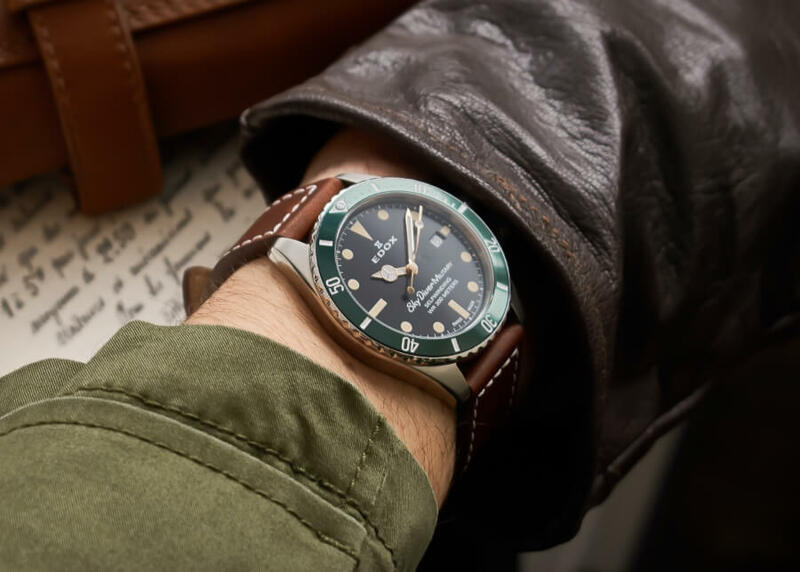 Presented in a special leather pouch, with an additional vintage leather strap, the SkyDiver will be a beautiful vintage military look collectors’ item. 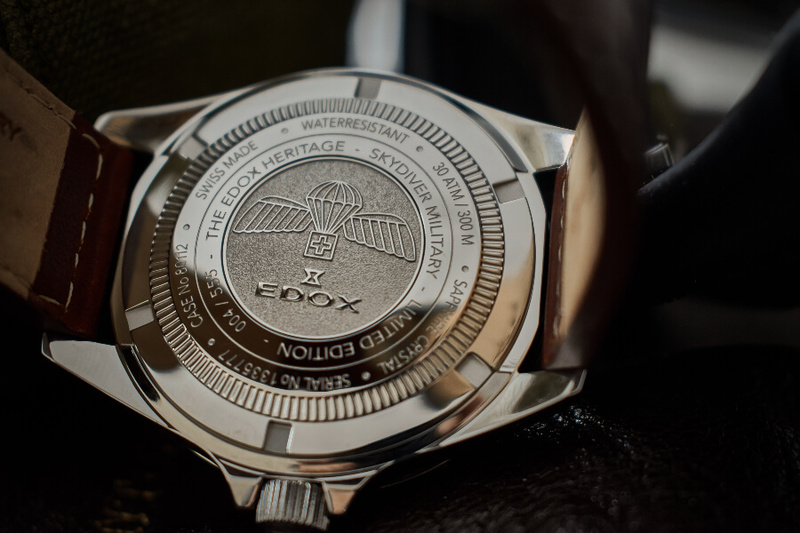 It is said that on August 1 1973, the Edox SkyDiver was handed over to each paratrooper at a ceremony in the Swiss Alps. But to this day no-one really knows if the tale is fact or fantastic fiction. 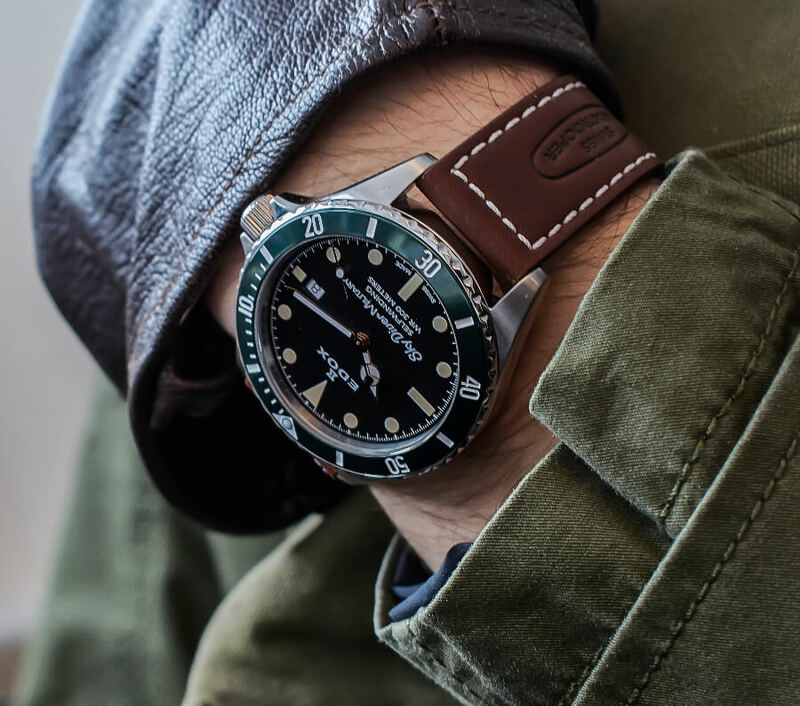 Rumoured to be launched following a Swiss colonel secret request in 1973, the new SkyDiver collection pays tribute to paratroopers and the extreme conditions they might face - on land, air or sea. Displaying a vintage military look, the SkyDiver is a reliable timepiece protected by a 2mm-thick scratch-resistant sapphire crystal and a stainless steel case. Water-resistant up to 30ATM / 300m, the SkyDiver will remain readable at such depth thanks to a high standard of night visibility on watches – Superluminova X1 – which covers its hands and indexes. Whether its origin is fact or fantastic, the SkyDiver is a truly hand-assembled timepiece ready to face real adventures. The price for the Edox Skydiver Military is € 1,290. 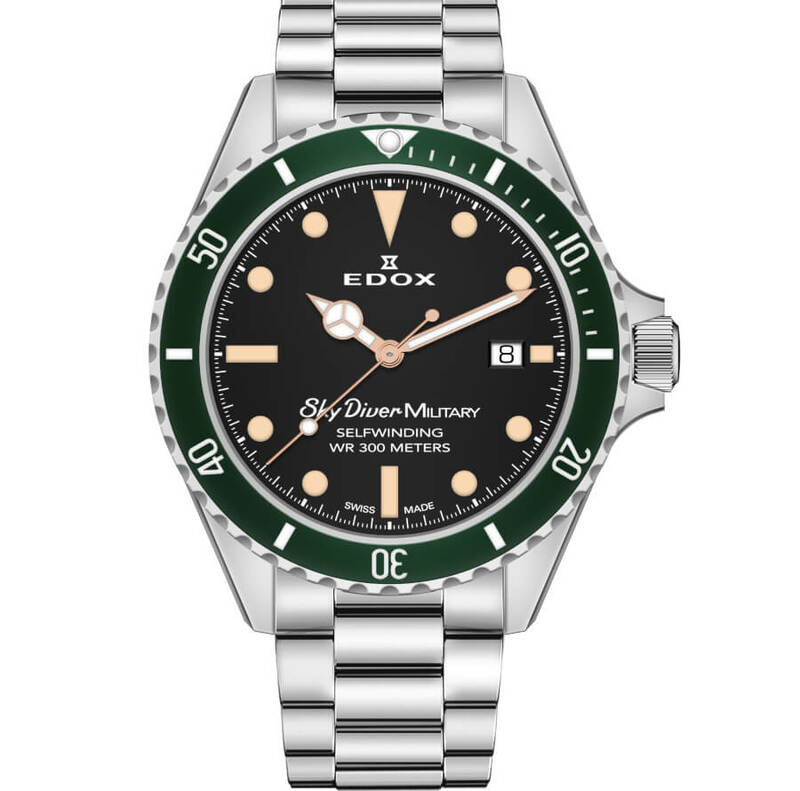 For more information visit Edox Online.